What are the benefits of diatomaceous earth for dogs? How Does It Kill Fleas & Insects? Does it kill all fleas on dogs? Just how effective is diatomaceous earth for fleas? 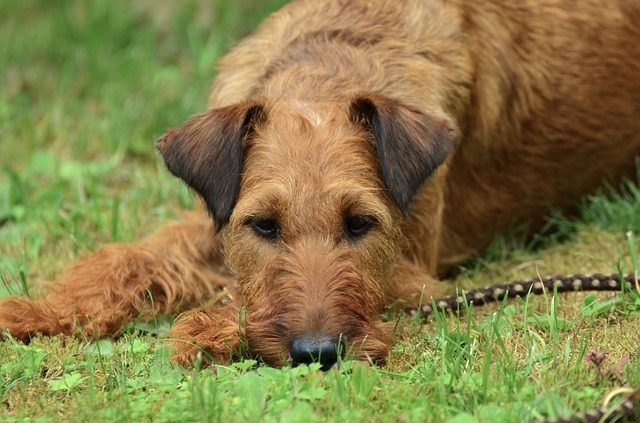 Do you still need to use other dog flea control and prevention if you’re using DE? Can it be used as a flea prevention too? What else can DE be used for on dogs? Is it safe for cats other pets too? What else can you use DE for around the home? DE is basically the fossilized skeletons of microscopic water creatures. 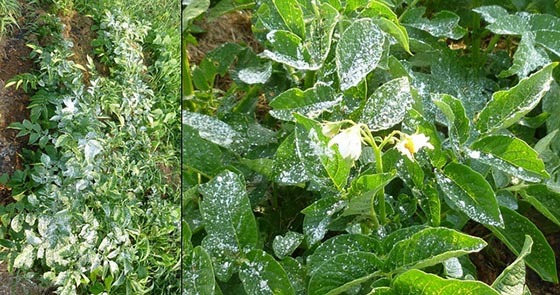 It is often used as a natural pesticide to help control various insects including bed bugs, cockroaches, ants, fleas, ticks and other creatures. It’s sometimes used on an industrial scale on large farms, or on a very small targeted scale in homes. Only some DE is safe for use around humans and pets though. Using diatomaceous earth for dogs – usually for flea and tick control – is something that many people consider. Is this a safe and effective method for your pet? Our guide covers everything to do with DE so you can make an informed decision. DE has a wide range of uses, but this article is all about how it might benefit our dogs so that’s where the focus will be. The most common reason that people turn to DE is to use it as a natural and organic flea killer. Some people use it in place of normal flea control products, while others will use it combined with traditional flea controllers. Unlike spot-on products though, DE can be used around the home, garden and yard to kill off external fleas and other unwanted insects in the home. DE is a powerful and natural insect controller thanks to its purely natural properties that cause insects like fleas to literally dry out and die. The insects only need come into contact with DE, and do not need to eat it in order to be affected by it. Due to the fact that insects have an exoskeleton, once this is damaged, the insect is unable to survive. This is what makes food grade DE so powerful and deadly against insects, while being harmless to other animals and people. Keep in mind it will also affect some insects that you may not want to kill, so keep this in mind when deciding where to use DE outside. 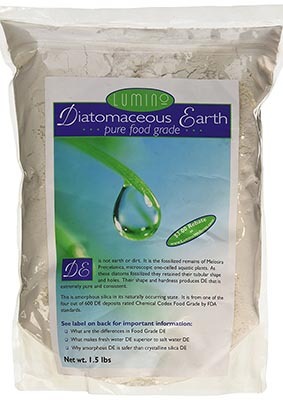 One of the great things about DE is that, unlike chemical based insect controllers, the insects can’t develop any sort of resistance to diatomaceous earth because it works at the physical level rather than chemical. So you don’t have to worry about it ever becoming ineffective. Additionally, when you store DE properly in a cool dry spot, it has no limit to the shelf life so you can buy in bulk and not stress that you’ll need to throw any out or have it go to waste. Yes it does. But remember, when tackling a flea infestation you need to target ALL areas where the fleas are. This will include the house, all dog bedding, the dog itself, and your backyard and outdoor property. Because DE does not have any effect on flea eggs before they hatch, you’ll need to get rid of as many of these as you can – this means a good clean up and vacuum. For particularly bad infestations, disposing of all the dog’s bedding and replacing with new can often be the easiest option. After cleaning up, dust the main areas your dog uses with a quality human grade DE product. These areas should not be damp because DE only works when dry. Your dog should be able to lay and roll around in the areas where you’ve applied DE. Since DE can sometimes bring about skin dryness, bathing your dog in a moisturizing shampoo a few days after you’ve applied the DE to your home can be a good idea. There is no doubt that DE can kill live fleas. So its effectiveness as both a short or long term flea control solution really comes down to how vigilant you are in applying it. If you let it lapse, you’re likely to be faced with fleas again. The downside of DE is that it doesn’t break the flea cycle like regular dog flea prevention products do. You need to kill eggs, larvae and fleas in order to completely eliminate a flea infestation and keep them away. With that said, DE can have a role to play and comes with more benefits than downsides (of which there are none when its used correctly!). As mentioned, DE will kill live fleas but it won’t break the cycle if you have flea eggs around (which there are certain to be). This is when you’ll need regular flea control products to really put the nail in the coffin of the entire flea cycle. You’ll need to be vigilant in applying DE if you want to use it as a regular form of flea control and prevention for your dogs once you’ve removed the existing infestation. For a lot of people, using a traditional spot on flea controller or flea collar is the more convenient option, or even using a combination of the two. Fleas are a carrier for tapeworms in dogs, so maintaining excellent flea control is so important not only for the sake of having a flea-free dog and home, but also to help prevent nasty tapeworm infestations. Dental health: Some human toothpastes include DE in their formula as it provides a gentle abrasion against the teeth to help remove food and plaque. Some people also add a small amount of DE to their regular toothpaste. What about diatomaceous earth for dogs teeth though? Brushing your dog’s teeth is often recommended by vets to help prevent dental disease like gingivitis. Not everyone is comfortable doing a regular canine tooth brush though, and most dog owners will prefer to have their vet do an annual dental check and professional clean if needed. Adding DE to your dog’s food is an option – will it help with their dental health? It’s unlikely to make a significant impact – but it certainly won’t hurt either and of course, provides all the other benefits outlined in this guide. Good dog teeth health is best encouraged with a quality diet and lots of chewing opportunities such as raw bones and dental treats. Ear health: Some people believe you can use DE to treat ear infections in dogs. This is not recommended at all. As with any serious health condition, seeing your vet for treatment options is the only safe road to take. Ear mites are a common condition. Some advice out there includes using DE to treat ear mites. If you’re researching this method, it’s important to be aware of the safety aspects and not misusing DE in the ears. DE can have a drying effect and you need to be very careful when using it around your dog’s face (always keep it right away from the eyes). Some people have had success in using a very small amount, about a pinch, of food grade DE into the dog’s ears once a day to treat mites. Adding a small amount of water to the DE makes it easier and safer to administer. Speak to your vet before attempting this home ear mite treatment though. 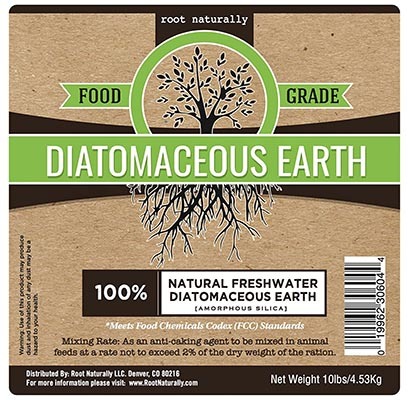 Diatomaceous earth is safe for use around most pets like cats and rabbits. People use it to control cat fleas in the same way its used for dogs. DE is also used for parasite control in horses, in a similar way as its used for dogs. However, if you have birds, reptiles or frogs then you should seriously reconsider the use of DE. 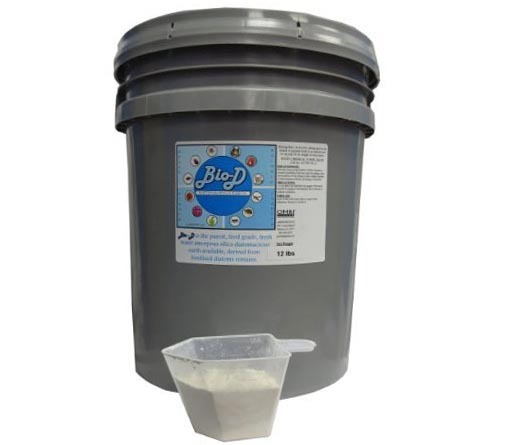 Birds have a very delicate and sensitive respiratory system and DE poses a danger to their internals – simply do not use diatomaceous earth anywhere near birds. Remember: only food grade DE is safe to use around your pets, your home and your family. 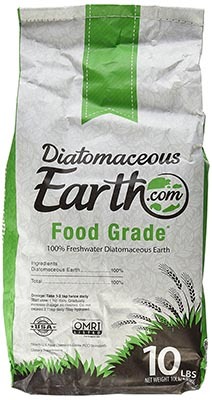 Non food grade diatomaceous earth is only for industrial use and should never be purchased for use on dogs or anywhere in the home. Only ever purchase food grade DE. Industrial grade DE, used for pool filtering and other applications, is not safe for human or animal use. All quality DE made for human and animal use will be clearly labeled “food grade” so you can’t make a mistake. When buying DE, only ever buy FOOD GRADE products. Anything else is not safe for use around humans and pets. 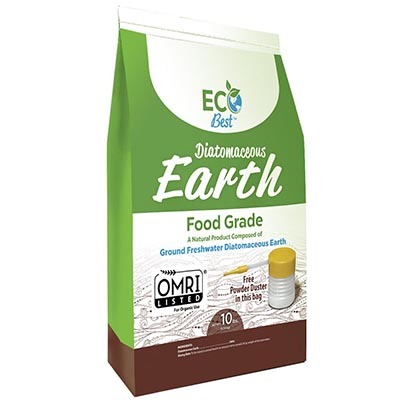 This isn’t difficult as all good DE products made for human and pet use are clearly labeled as food grade or human grade – so you can’t go wrong. Listed here are only the best and safest brands of DE. All of the below DE products are of the highest quality and are sourced from freshwater sources, and use the amorphous form of DE (the safe type for humans and animals). 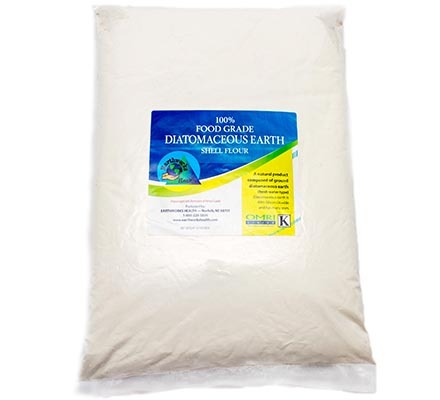 Other diatomaceous earth uses include using it to control garden pests, and ants and cockroaches in the house. Using diatomaceous earth for bed bugs is something that some people have found success with too. DE is an organic product with a lot of uses around the home, and is safe provided it is of food grade quality and used according to directions. Another natural product often used for a plethora of things around the home is good old fashioned baking soda. Does it have any effect on fleas though and how does it compare to DE as a natural flea control? People who use baking soda for fleas usually combine it with salt in equal portions. The formula is spread around the affected areas in a similar way that DE is. The goal is to target the flea larvae and eggs so the cycle is broken. So dog beds, sofas, kennels, floors and anywhere else your dog goes needs to be treated. Baking soda and salt also work in a similar way to DE, in that it literally dries out the insects so they die. Ideally the formula should be left on the surfaces for several hours or even overnight (with your pets kept away from the treated areas), and then vacuumed up. You then need to repeat this every few days to make sure nothing has been missed. Potential downsides of the baking soda and salt treatment is irritation to your dog. Unlike DE, animals can become irritated by baking soda with skin dryness a potential issue. Animals with sensitive skin, dermatitis related conditions or open wounds (e.g. 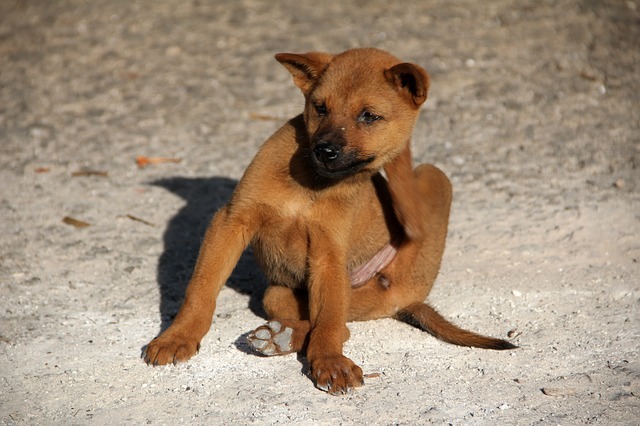 from scratching at fleas) are at higher risk of irritations occurring. This alone is enough to turn a lot of people away from the baking soda flea control option, and DE is often the next place they look. So does baking soda and salt work to kill fleas? Yes it does. Is it a practical way to go about it? For some people, it is, for others it may be too much trouble and effort considering the alternatives like DE and regular flea treatments. It will come down to how many pets you have, how bad the flea infestation is, and how often you think you’ll need to keep treating the areas to completely eliminate the flea cycle and keep them away. For small areas, baking soda is a viable solution. For people with more than one dog or a larger environment to treat, then DE is often a more practical and effective long term option when it comes to natural flea control, and even better when combined with regular use of a flea collar. There is no evidence that DE poses any risk to pregnant dogs. Some breeders regularly use food grade DE as a natural wormer with good results. 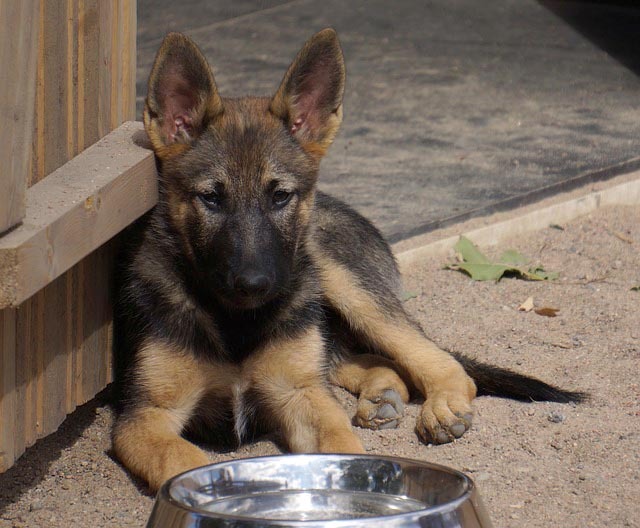 However despite this, puppies should stil always be wormed with a proper dog worming product like Nemex-2.